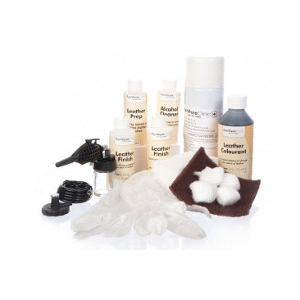 A specialist range of products designed to restore leather by dyeing and re-colouring. 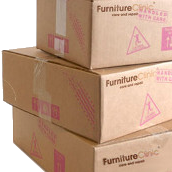 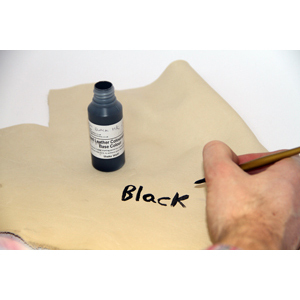 Perfect for car interiors, furniture, clothing and other leather goods. 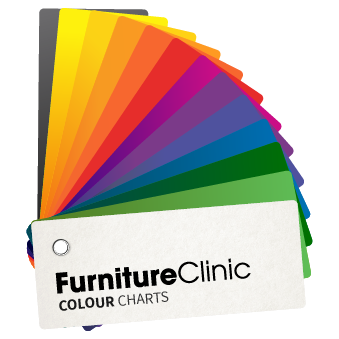 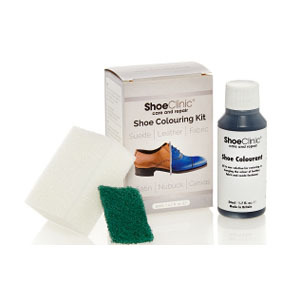 A quick and easy method of changing or restoring the colour to any item of footwear, whether leather, fabric or suede. 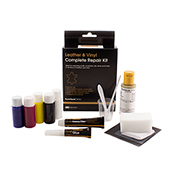 Professional lacquer to seal leather - cures sticky & tacky areas. 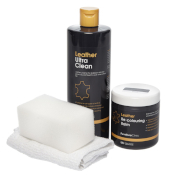 Can also be used to enhance the shine or make your leather matt - it's your choice. 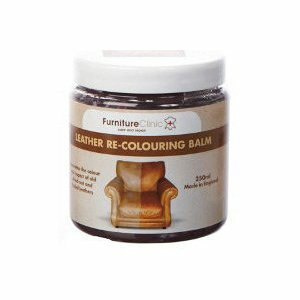 Specially formulated colours to re-apply the colour to worn antique and rub off style leathers - the most popular being the chesterfield sofa. 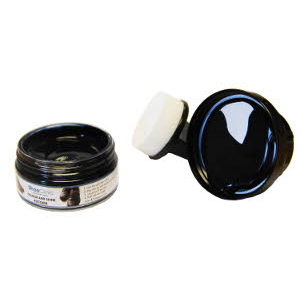 Easily restores the colour and shine to all types of leather shoes & boots. 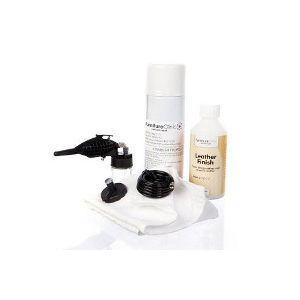 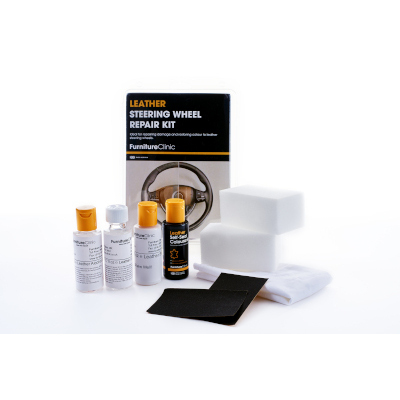 Repair, restore and recolour your leather steering wheel, everything you need in one handy kit. 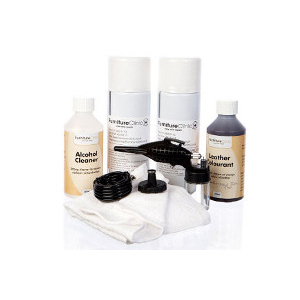 Our kit is the ideal solution for old and tired steering wheels in both modern and classic cars.